Hey.. What about the Salt Flats? 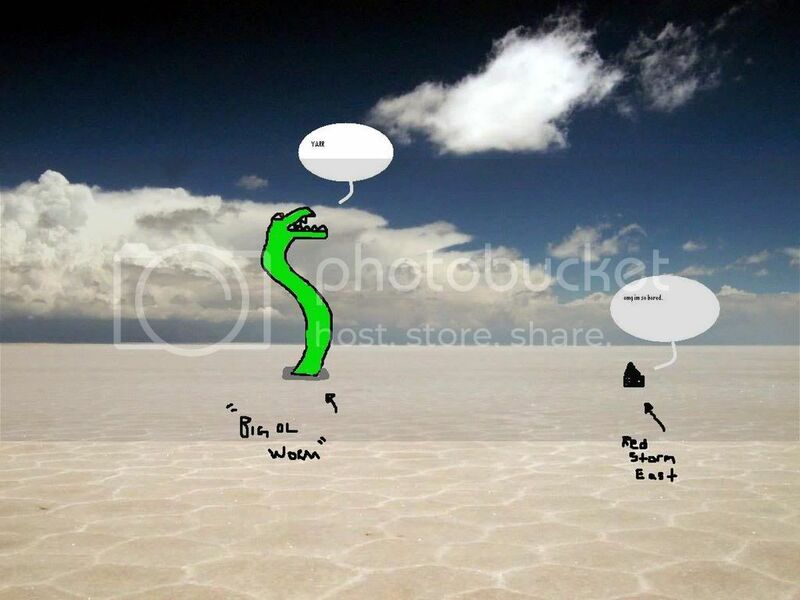 Can someone do a picture on the Salt Flats, Im quite curious how it would look with a big ol worm in it, Thanks. And its a pirate worm too...Woohoo. wow. i'm really going to miss those in arm 2. But only now, because of that picture. not before.